Learn how data can be used to measure value in healthcare. We’ll review the use of randomized trials along with natural experiments to provide credible estimates of the effects of healthcare delivery reforms on costs and patient health. This presentation will highlight how data can be used to measure value in healthcare. In particular, the use of randomized trials, along with natural experiments that focus on the effective random assignment of treatment to patients, can provide credible estimates of the effects of healthcare delivery reforms on costs and patient health. These methods also provide a framework to measure hospital and physician quality—an increasingly important task as payment reforms aim to “pay for quality”. 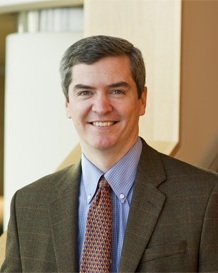 Speaker Bio: Joseph Doyle is the Erwin H. Schell Professor of Management and Applied Economics at the MIT Sloan School of Management. He is Co-Editor of the Journal of Public Economics and the Journal of Human Resources, a Research Associate at the National Bureau of Economic Research, a Research Affiliate at the Jameel Poverty Action Lab, and a Research Fellow at The Danish National Center for Social Research. He has received research grants from the National Science Foundation and the National Institutes of Health. Other awards include the Garfield Economic Impact Award, the KPMG Convention on Health Analysis and Management Prize, and the Healthcare Cost and Utilization Project’s Outstanding Article for 2010. His research and teaching specializes in using large-scale datasets from health systems to discover where healthcare resources are productive and where they are not, as well as working with healthcare providers to design randomized controlled trials in healthcare delivery. He holds a BS from Cornell University and a PhD in economics from the University of Chicago.